Today Notre Dame announced its future scheduling concerning ACC opponents through 2025. It was revealed that even though we were expecting a 2017 visit to Papa Johns, that we will not host the Irish until 2019 in the opening game of the season. That makes up for it a little. It was also announced that we will head back to South Bend in 2020 and the Irish will head back to the oven in 2023. That sounds so far away but sadly it isn’t. 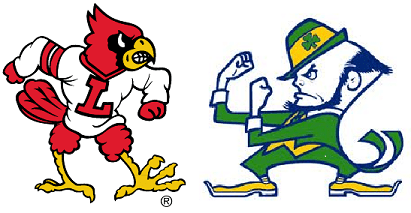 The first meeting with the Irish however is this season in South Bend on the 22nd of November. Glad to hear we will keep them in a regular rotation.